As a general rule, I do not purchase ink while traveling. My reasoning is that if a $15 bottle of ink breaks in my luggage I would be out hundreds of dollars in ruined clothes. Yes, I broke my rule. 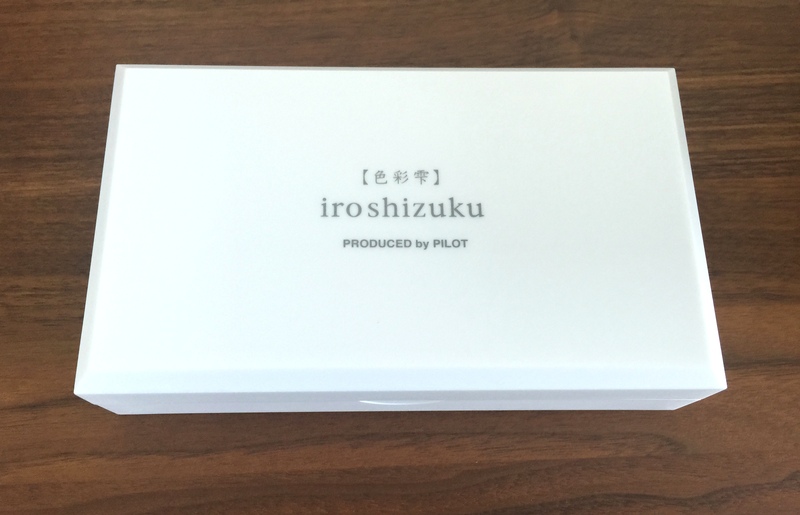 On my way out of Itoya in Tokyo (after buying some pens I didn’t need) I saw some well-packaged mini bottles of Iroshizuku in a lovely presentation box and that was that…I picked the three colors I wanted and here we are: The Pilot Iroshizuku Yama-Budo Fountain Pen Ink Review. 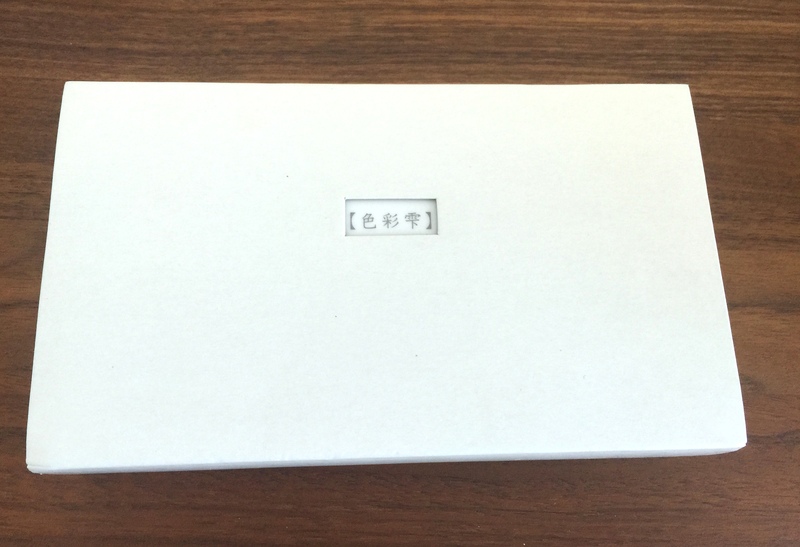 I wish all inks were packaged like this. 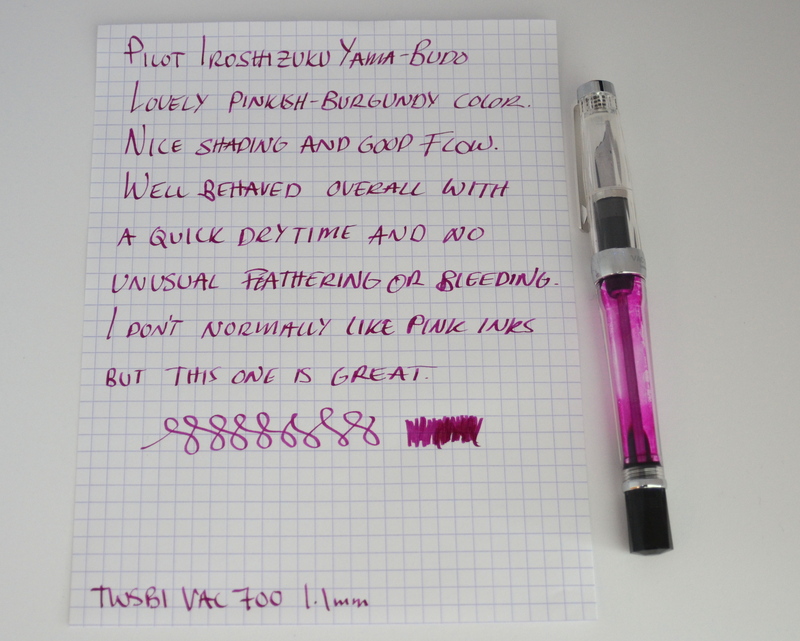 Yama-Budo in Japanese means “Crimson Glory Vine” and it is a pinkish burgundy color that I really like. 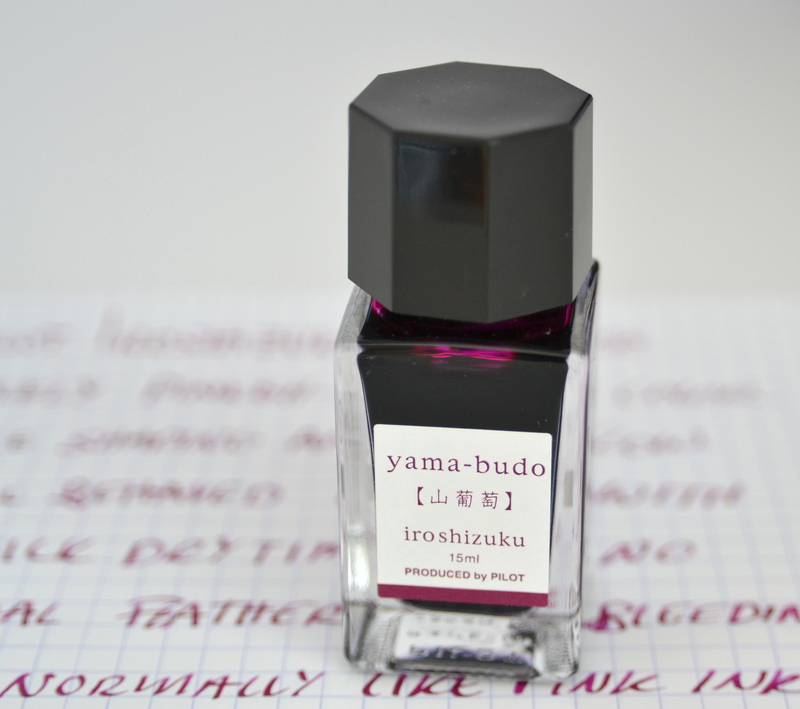 Like all Iroshizuku inks, it performs beautifully, well-behaved with a good flow. This ink has really nice shading to it. 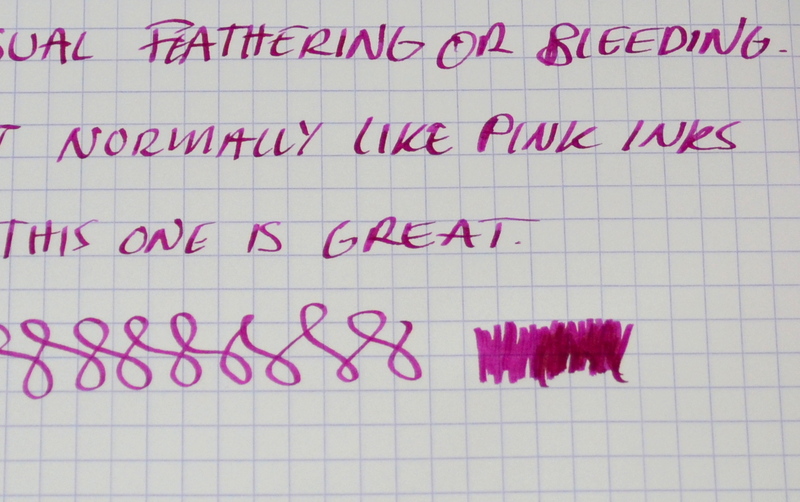 This ink isn’t really appropriate for a professional setting but it is a fun color that looks great in a demonstrator. I am not sure I could go through a full-size 50ml bottle of this one but I feel confident that I will be able to make my way through 15ml. Next Post Smythson MEGA Review Part 1 – 12 Writing Papers Reviewed! I have been loving Shin Ryoku. It’s a wonderful color. I will do a review of it at some point. Have you got any Pelikan Edelstein Amethyst? If so, how do these compare? Thank you for your comment. Unfortunately I do not. I had a bottle of Edelstein Aventurine and it became moldy so that put me off of trying other colors.